Cyber Monday Deals | OhGizmo! Went a little crazy of Black Friday? Got some rest over the weekend? Ready for more? Cyber Monday is like Round 2 of the post-Thanksgiving shopping craze and we’ve got you covered with some awesome deals like 95% off on The Complete Guide to Photography Bundle. 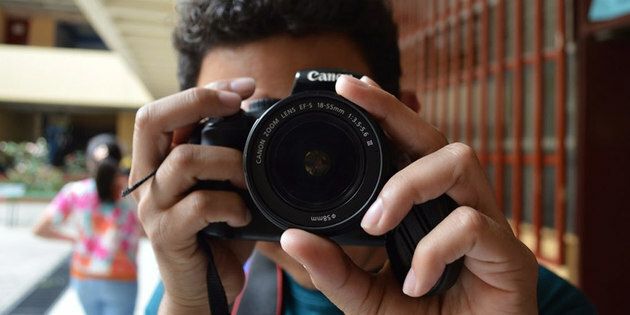 This encyclopedic course provides everything you need to learn the ins and outs of photography, and to master this medium even if you’re just starting out. Whether choosing between the humble iPhone or fancy DSLR, or shooting photos indoors or outside–you’ll learn all you need to turn out professional-quality photos certain to impress viewers and even attract interested customers. – Understand how different kinds of cameras work: DSLRs, smartphones, etc. – Create well-composed shots by correctly positioning subjects, manipulating depth of field, etc. That’s a lot of lectures and courses and you’re only being asked to pay $29 for all of it. Also, since it is Cyber Monday, you guys should know that we have STOREWIDE deals: 15% off SOFTWARE with code CYBER15, 25% off DEVELOPMENT ONLINE COURSES with code CYBER25, 25% off VPNs with code CYBER25.